Cleanliness and freshness create a good first impression and affect the general atmosphere of premises. Cleanliness, therefore, brings clear financial benefit for business. With maintenance cleaning, we will keep your premises on a mutually agreed level of cleanliness. We offer our contract customers special cleaning from large cleaning operations to window and carpet cleaning. Don’t forget to ask about our on-call cleaning service! H&A Team always provides us with the cleaning services we need very fast. The quality of cleaning has been good. If there have ever been any problems, they’ve been resolved quickly. Our contract cleaning services cover nearly all types of premises from offices to museums and swimming halls. Find out about our services or request an offer for a cleaning in different premises! Our staff with great customer service skills will take care of everything from watering the plants to washing carpeting, as needed. The cleaning of service desks, window washing, furniture washing – we offer cleaning services for the needs of all types of business premises. 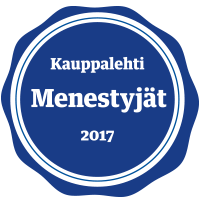 We are one of the leading operators in restaurant cleaning in the Helsinki metropolitan area with over ten years of experience.